In 2007 Kosta and I went on a camping trip in the Southwest US. We mainly hit New Mexico and Colorado. 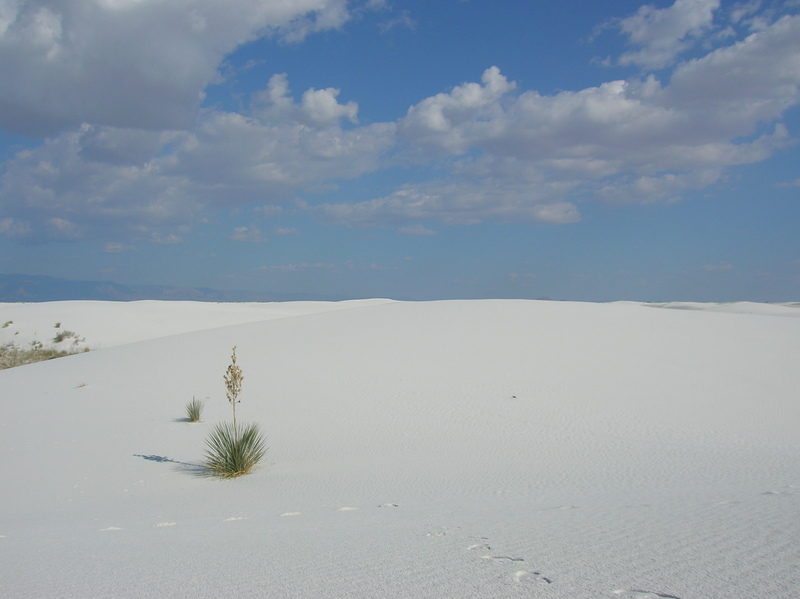 This stunning place is White Sands National Monument in New Mexico. We spent an amazing afternoon there. The sand, which is made from gypsum, is soft as sugar and reflects the heat so you can walk barefoot in the scorching August heat. The sand dunes stretch on for miles and you can see lots of animal tracks trotting off into the distance. Almost a lunar landscape, we had the feeling of being in another world.